produced in Austin at Texas' oldest legal distillery - still made in batches, using old-fashioned pot stills, and taste-tested every time to make sure you get only the best. M.L. Rose is is a friendly, neighborhood pub where friends and neighbors can relax, hangout and spend time catching up over great food and beer! Featuring over 90 craft beers, amazing burgers and fresh, simple pub food, M.L. Rose allows you to get out without getting fancy! The Cowan is a two-story live performance venue at Top Golf Nashville with a capacity of over 600. Featuring an open floor space and upstairs VIP area, it showcases established touring acts, as well as up-and-coming Nashville artists. NSL's LONGEST running sponsor bar! Our customers love our laid-back feel and live entertainment, not to mention our made from scratch food served up by a friendly and eclectic staff. Come on in and hang out at a live music joint where there's no bitchin' or whinin'—just a laid-back atmosphere where you can kick back and have a good time. Specializing in "Nashville Hot" and Southern fried chicken, but offer much more. Two full bars will feature a cocktail menu and 20 taps by local distillers and brewers with over 50 wines poured by the glass. There are wall to wall tvs for sports enthusiasts along with live music throughout the week. Camp Gladiator's mission is to positively impact the physical fitness and ultimately the lives of as many people as possible. Tennessee Orthopaedic Alliance is the largest orthopedic surgery group in Nashville and Middle Tennessee, and one of the largest in the nation. 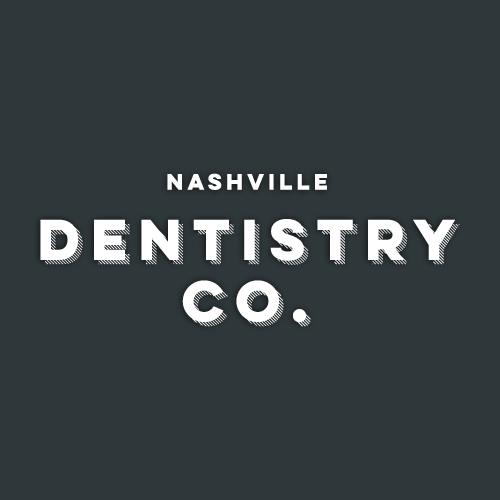 We are proud of our growth and it all started from humble beginnings when our founder, Dr. George Carpenter, Sr. opened the first orthopedic practice in Nashville in 1926. Ninety-plus years later we are advancing the practice of orthopedic surgery throughout Tennessee. City Tap House® Nashville offers 60 craft beers on draft from local and regional breweries, and our favorites from around the world. With our authentic brick oven pizzas, hand-made burgers, addictive wings, hushpuppies, to fresh veggies and spreads, we're working to elevate American pub fare one dish at a time. higher rating with our customers. Enjoy a relaxing, comfortable visit in an office boasting beautiful décor with a team who genuinely cares about your well-being. Team Lightning is the lifestyle initiative of Lightning 100 (WRLT 100.1 FM), Nashville’s Independent Radio! Through hands on events, activities and workshops, Team Lightning is an opportunity for listeners to engage with the station and the community. These events will encompass one of the five tenets of the Lightning Lifestyle: wellness, sustainability, community service, adventure, and listener socials. Vanderbilt University Athletic Department's mission statement is to prepare student-athletes to become leaders and champions in life by placing the highest values on integrity, character, sportsmanship and victory. We are fortunate to be able to use Vanderbilt's facilities for our flag football and kickball leagues. The Jack C. Massey College of Business at Belmont University serves undergraduate, graduate, and executive education students, providing nationally recognized, AACSB International-accredited business education programs. Experienced faculty, innovative resources, small class sizes and dynamic internship, community service, and study abroad opportunities combine to provide a rewarding learning experience in a student-centered Christian community that prepares our students to go from here to anywhere. An American restaurant and bar, officially opened in Midtown next to Slider House on Friday, December 1, 2017. The concept comes from Big Onion Tavern Group out of Chicago. The neighborhood gathering spot boasts a fun atmosphere, personal service, tasty food, and an extensive beer selection.